Learn to Ski In One Day! Learn how to ski quickly with skiboards. Now you can learn to ski in one day! No kidding! Can’t keep up with friends or family? Tired of being in ski classes and lessons? Stuck on the beginner or intermediate runs? Everyone deserves to have those exhilarating peak experiences on the ski slopes and you can now have that right from your very first day. Until now these ecstatic moments were reserved only for those expert skiers who have spent years and years learning. Well, not anymore. With Summit skiboards, you begin to experience those thrills right from the first day, and then, it gets even better as the learning curve accelerates very quickly. Riding on Skiboards, you are free to have fun, without all the frustration. Summit Skiboards deliver a combination of performance, handling varying terrain and conditions, with fast turns and stops, bringing a deeper sense of confidence than you have ever experienced before. With skiboards, you get to experience true freedom and joy like never before. Learning to ski on long skis takes a lot of time, lessons and patience to become competent. Meanwhile, you don’t get to play and experience the freedom that you truly go for in the first place. Learning to ski on long skis is frustrating, disappointing and undermines a person’s confidence. Many people quit, no longer returning to the ski slopes. Others just remain stuck on the Beginning or Intermediate runs. This is not the experience YOU desire when you go skiing. You want fun, freedom, great memorable ski vacations and to ride with friends and family. Why are Skiboards easier than skis or snowboards? These Easy Skis are constructed with a wood core and easy turn parabolic shape that allows maximum performance on any mountain, yet with a length that allows a more natural upright stance. These turn quick without all that length to maneuver. The natural stance promotes proper balance, easy of use and a comfort on the mountain you may never have experienced before. Even if you choose to go back to skis, after riding skiboards, you will notice a dramatic improvement in your ski skills. Opens up more of the mountain almost immediately! Easy Rider 79 – just like its name, teens and adults can experience a super fun and easy time riding the ski slopes. These are mounted with the Atomic L7 ski bindings fitting ski boot sizes 4-11 U.S. Don’t even think that these are just toys, however. Featuring the same construction as our more advanced skiboards, with wood core, twin tips, sintered bases, aluminum reinforcement plate and triaxial fiberglass, these are very durable, with a really smooth flex to enjoy effortless carves. Older kids too can use these to learn and progress on, but these truly are an Easy “Ski” for adults as well. EZ 95 – intended for teens and adults, these provide a quick to get up on and ride experience. 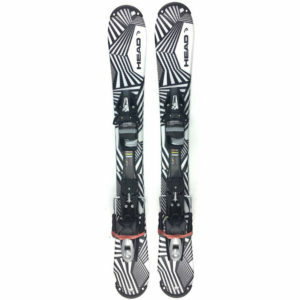 Mounted with Salomon release ski bindings, these fit ski boot sizes from 4-14 U.S. These are great for those who have had some experience on the ski slopes, or are intermediate skiers looking for a short cut to improving your overall skiing ability in a dramatically shorter time. If you have ridden the Salomon snowblades or skiblades with non-release bindings, you are in for a treat as the EZ 95’s will take you to an all new level of mastery. Elan Freeline 99cm – Our customers discover that the Elan Freeline 99cm skiboards step-in release bindings are a great pair of skiboards – light, easy to turn and just a super fun time. The Elan Freeline 99cm skiboards provide a smooth ride with quick edge-to-edge carving. These work great for those starting out as well as intermediate riders who just want to progress quickly and have a great time doing it. These come complete with Step-in Release Adjustable Bindings that fit any ski boots. The Head 94 is super easy to ride whether cruising the groomed runs, fast turns in the moguls or even taking on the black diamond advanced terrain with complete confidence. The wider-body construction coupled with a deep parabolic side cut makes carving, whether a beginner or seasoned skiboarder, almost effortless. This is especially so due to the slightly narrower tail width that makes turning even easier as it is super easy to kick that tail around. These will amaze you with how stable and smooth they ride Excellent step in performance. Not sure if Skiboards are for you? • Check out our First Time Reviews Page to hear about other’s experiences. 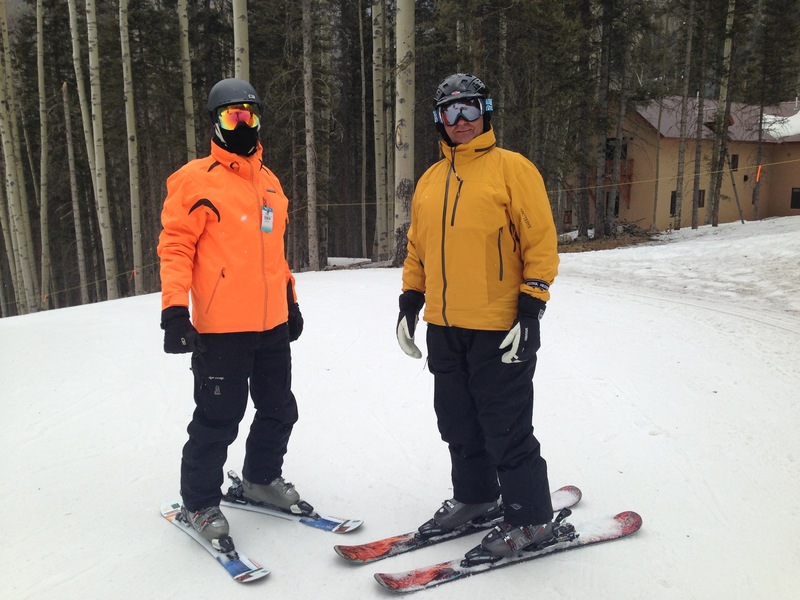 • Learn about the fun sport of skiboarding and learn how to skiboard as well so you can be up and running in one day. The only book of its kind, buy Instant Skiing, Instant Fun: Skiboards – Best Kept Secret on the Slopes. Written by the owner of the Skiboard Supertore, Doc Roberts, PhD. Available in downloadable pdf file or paperback. A whole new world of skiing and truly enjoying the mountains awaits you!